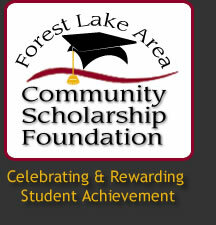 Forest Lake Area Community Scholarship Foundation offers a couple of different fundraising opportunities for individuals and businesss who want to make a difference in the life of someone seeking higher education. We welcome your help, sponsorship and participation in these events. They are critical in helping us provide schoarships to as many students as possible! Click here to learn more about our Golf Fundraiser. Click here to learn more about our Retail Fundraiser.